Inside view of our ring #219. 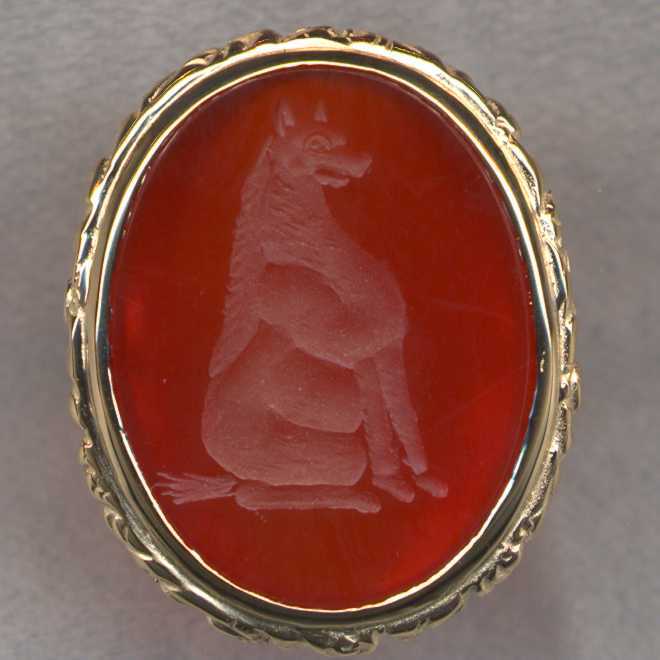 The original engraving was described in a museum catalog as: A seated hyena. Ground line. 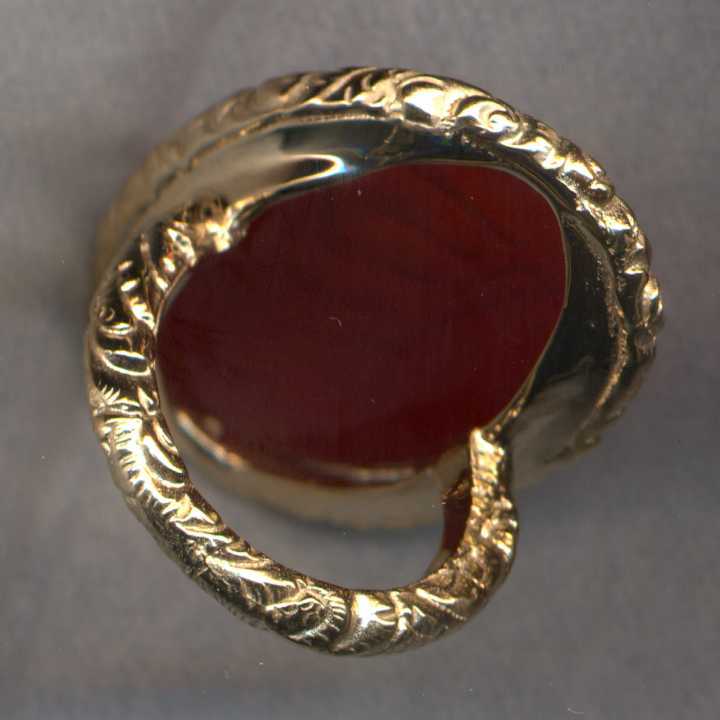 Original stone is a blue chalcedony. Second half of fifth century B.C. J. Paul Getty Museum - Malibu. 23mm.